Italian customers satisfied of digital fintech and insurtech services. But what do they need more? The Fintech and Insurtech Observatory of the Politecnico di Milano, presented the results of the 2018 research. Companies from different industries shared their point of view and experiences to give their contribution. The 2018 results shown that Italian population appreciates Fintech and insurtech services: the 25% of the Italians between 18 and 74 year-old, used at least one service with high level satisfaction with an increase of 54% compared to 2017 results. The most used banking services are: Mobile Payment (16%), services for family or personal budget management (15% with an increase of 10%), and services for instant money transfer (12% with an increase of 8%). There are some services in the insurtech market that are really appreciated and quite essential such as: an alert for the insurance policy expiry date (51%), the possibility to access all the information related to the insurance coverage (44%) and insurance claims management (39%). Fintech and insurtech companies need to work together to build synergy and a better User Experience. Solutions: sharing and comparing competences and ideas with other companies of different industries could be a conjunction element to create new content and new useful solutions. 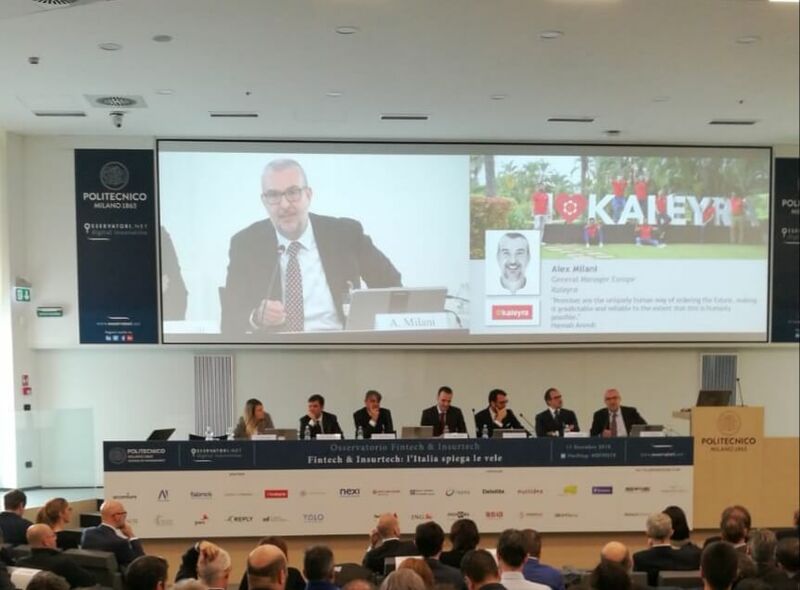 As a partner of the Fintech and insurtech observatory and as an expert of the market, Kaleyra took part in the convention. 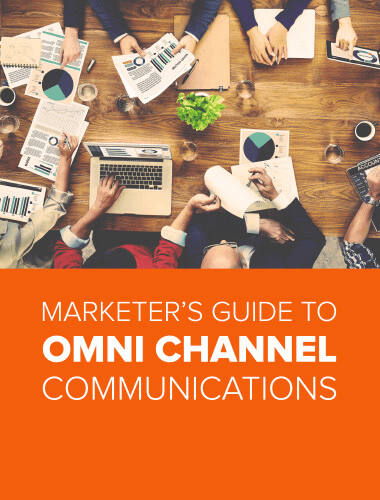 “Human and Digital Empathy are more and more required by customers. 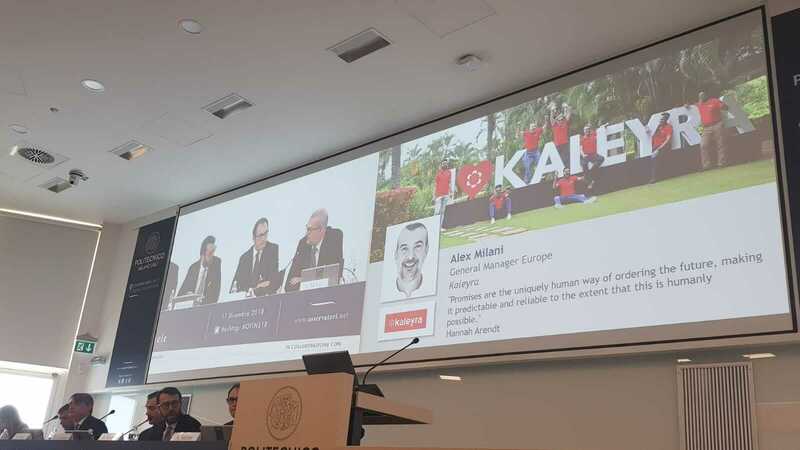 Italian financial market should adopt and increase the usage of conversational interfaces to grant a better Customer Experience“- said Alex Romano Milani, General Manager Europe. Kaleyra has the mission to provide “evolving mobile platform” to engage customers and increase brand loyalty and trust. As an SMS Notification, Push Notification and SMS Marketing provider, we can help companies to create or increase Human and Digital Empathy.